​Lorne Estate can create a full programme to suit the needs of your company. We will work closely with you in advance to make sure your team get the most out of their time away from the office. Whether you are looking to strengthen your team or find that hidden potential within your staff we can provide the perfect platform to bring those goals to life. Our team of fully qualified instructors will lead you through your day ensuring enjoyment and a sense of achievement is had by all. Problem Solving - These are tasks that are designed to encourage co-operative problem solving. They require a think approach that comes from the creativity of many minds. Construction Challenges - This is a great team building activity that will have your team working together, communication with each other and having fun without even realising it. Can you make a vehicle to transport your whole team - flintstone style? Trust Exercises - These exercises help a group to build mutual respect for each other and develop empathy for their peers. This bond will transfer into great working relationships among your staff. Team Development Programmes - These programmes are designed to support teams who which to better their performance in the workplace. They encourage participants to work together to achieve a common goal. The programme is made up of a mixture of challenges, group discussions and evaluations. Bushcraft - Come to Lorne for a day in the outdoors and learn many back to basic skills including fire lighting, food and water preparation and shelter building. 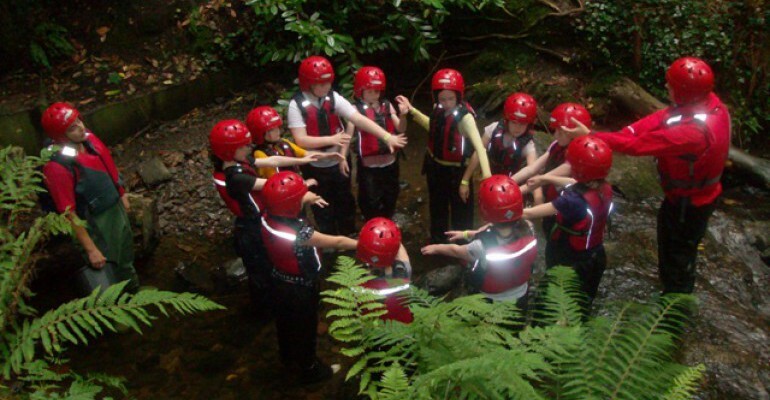 As well as working together, developing relationships and building trust, participantd will come away with a new appreciation of the outdoors along with the skills and confidence to enjoy it. Fun Entertainment - If you are after a fun and relaxing time away from the office we have just the thing for you. Our entertainments include versions of popular games shows such as “The Generation Game ” and “It’s a knockout”“, table quizzes and much more. A great chance for everyone to let their hair down and get to know each other in a friendly environment. Alternatively you can come to Lorne and take part in some outdoor pursuits. These activities are a great way to increase personal confidence in each individual of the team! 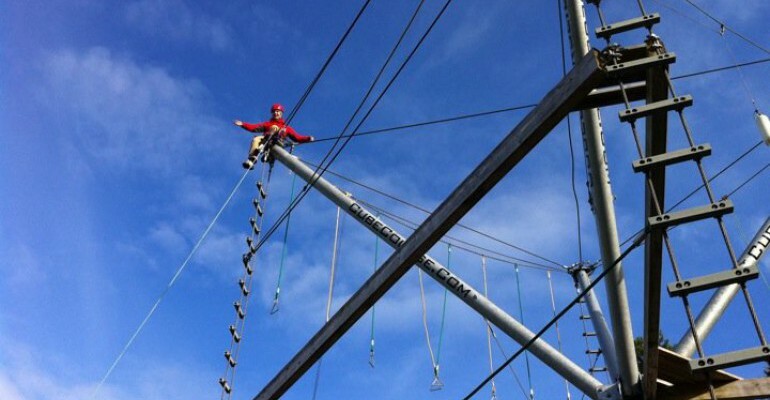 Our activities include High ropes, Crate challenges, Archery, Climbing and Gorge walking. For more information on these please click here.